This entry was posted in art yarn, Dyeing, Fiber Friday, Fleece Processing, knitting, Quick Projects, Spinning in Public, Yarn as art and tagged art yarn, fleece processing, handspun, knitting, raw fleece, Spinning, spinning locks, supercoils by Leah. Bookmark the permalink. 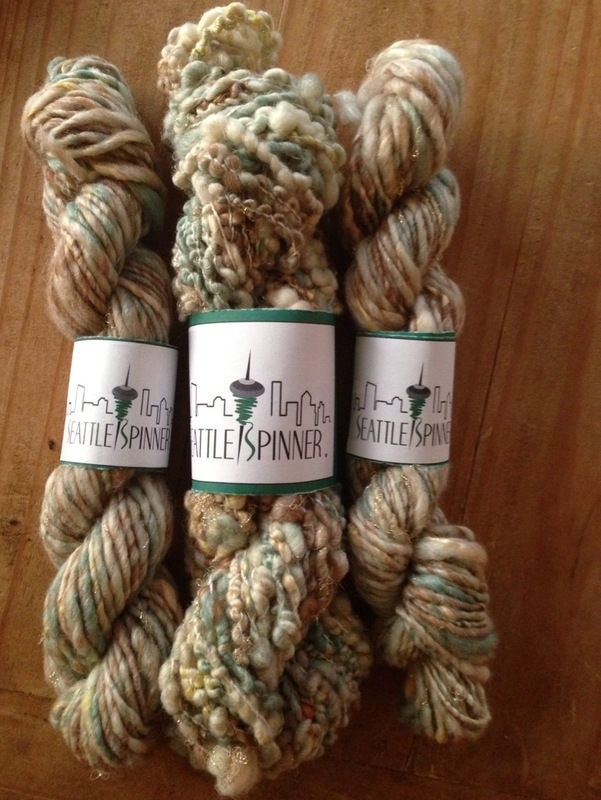 congratulations on selling your first hand spun! Yay!!! I still haven’t gotten onto the band wagon of art yarns but I’m still just a beginner at spinning and knitting. At the moment I have a love affair going on with lace weight yarns, spinning and knitting with. Thanks Beth! You know, focusing on the “classics” with your yarn will give you a huge boost when you decide to try art yarns. It will make a lot more sense and you’ll be able to spin art yarn with intention..which is kinda awesome! lovely yarn that you sold 🙂 well done! 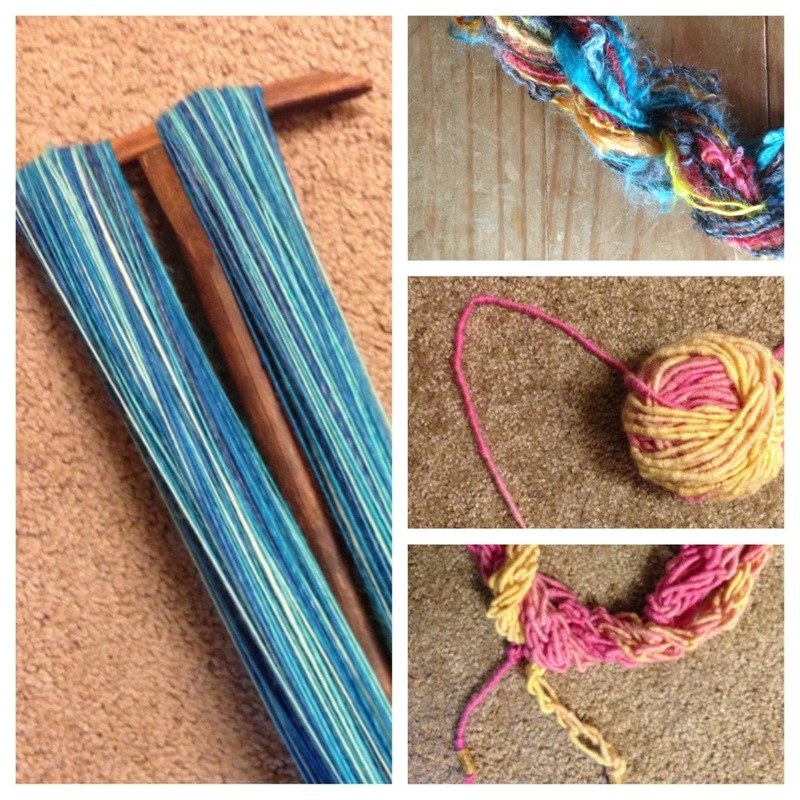 I spun beads into several skeins of yarns as my ‘art project’ – just to see if I could do it. It was intense. Getting things just right…wow…what a feeling! Awesome!! Did you do it during the plying phase? Yes. It took a lot of thought to get the plying to work the way I wanted it to. There are a couple of ways to do it, I decided to use a matching thread for the beads. I posted a photo on my blog. It is! The middle is a bulky bouclé, and the two outsides are singles. All from the same batts I carded. Fun stuff!! Tricky if you ask me!! !